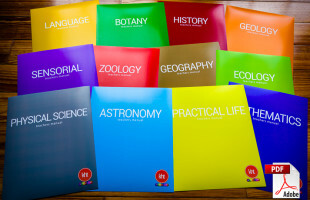 What age group is your curriculum targeting? 10 of the albums are written to cover the start of lower elementary. This is because children that are 5 and 6 years of age often need to go further in their studies. Children seem to progress quickly in some subjects and not in others. Since, we do “follow the child” I have extended the scope of my albums to make sure that children ages 2-6 can go as far as they are capable and ready to in all of the subjects. I also refer my students to another instructor that runs a course for lower elementary, similar to the way that I do this one…her course “bridges” my course. So, I go up beyond the typical (if there is such a thing) 6 year old, and she starts down below what a 7 year old would start. Why do I not see my 50% discount when adding manuals to my cart? The 50% off discount is for students currently pre-enrolled or enrolled in a active course. It is also only for students that have paid the course fees up front (not month to month). If this describes you then there are a few reasons why it could happen. 1) You just paid for your course and we have to activate the 50% off discount manually and may not have gotten to you yet. This usually occurs with in hours of paying for enrollment but may take up to 24 hours. 2) You have not gone to the checkout page yet. The discount wont show in the mini cart preview on the menu bar but go to the checkout page and you will see the discount before you pay. 3) We hope it never happens but there may be a tech glitch or an issue on our end. 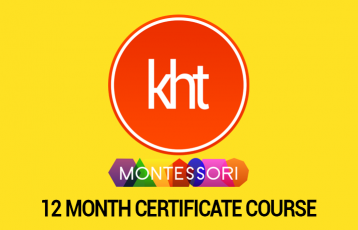 If you do not see an email from us in 24 hours max from when you paid for your course please email us at info@khtmontessori.com and we promise to fix it ASAP.